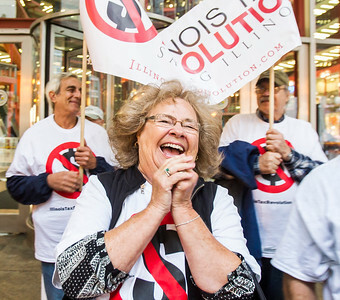 Judy Anderson of Wonder Lake chants, "taxes are revolting! 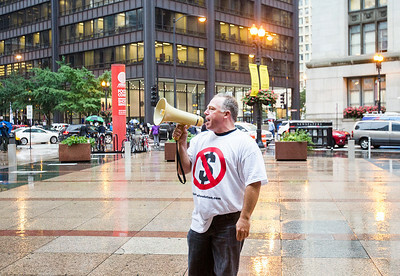 why aren't you." 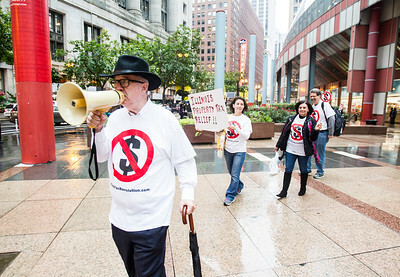 Wednesday, Oct. 12, 2016 during a tax bill demonstration in front of the Thompson Center in Chicago. 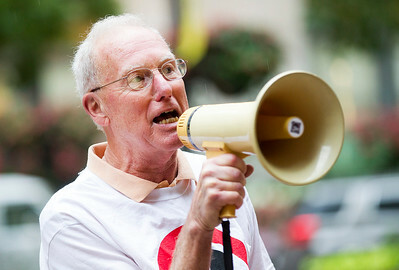 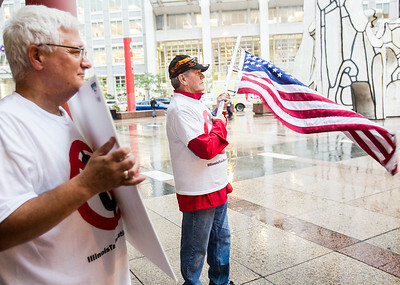 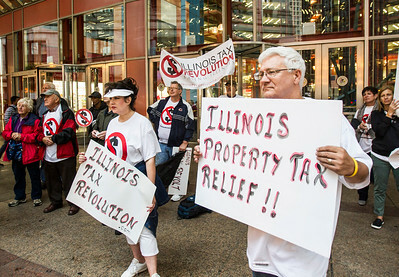 Around 45 McHenry and Lake County residents protested for lower taxes.